The show runs about 2 hours and 20 minutes. 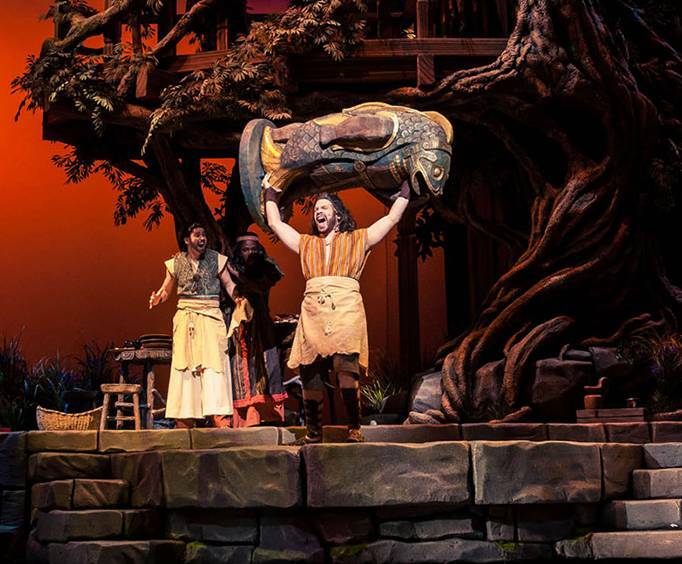 In its last season for 2019, Samson at Sight and Sound Theatres in Branson, MO is sure to create an unforgettable experience for all who attend the show. 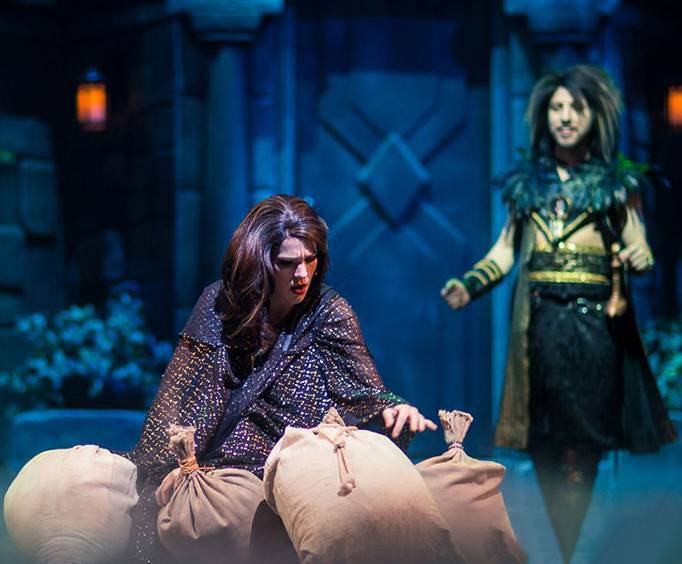 By combining original scripts and music with flawless stage production, on stage acting, colorful characters, beautiful costumes, and biblical stories that give true insight into God’s word, the theater truly creates unforgettable moments that the entire family will be entranced by. This show tells the story of Samson as he follows his life calling and fulfills his path of obeying God. See Samson battle the Philistines, slay a lion with his bare hands, and wrestle with personal demons like temptation, losing his strength, and being blinded in ways that you never imagined! This Bible story is put on in awe-inspiring scale with a professional cast to create the greatest production of the story. Samson's parable is one of triumph and tribulation, with his own personal battle getting in his way at times. He's given the ultimate superpower of strength, with the only stipulation being that he must follow the rules and obey God. Proving a difficult to obey, he ends up losing his strength and is held captive by the Philistines, who even blind him out of retaliation for Samson having killed so many of their people prior to his capture. After his strength had been taken away, Samson pleads to God for him to return his strength to allow Samson to take revenge on the Philistines for his mistreatment, and having been blinded. Samson's strength was returned, and he killed what is said to have been upwards of 3,000 people, himself included, when he took down the pillars of the temple in which they were all housed. Known for its tales of epic biblical proportion, the Sight and Sound Theater is one of the most beloved entertainment venues in the Ozarks. This famous Branson theater has a reputation for creating an immersive experience featuring biblical stories brought to life in musical form right before your eyes. Sight and Sound Theatres produced many productions throughout its time in Branson, MO. Just a few of these amazing shows include Jonah, the Miracle of Christmas, Moses, and of course, Samson. Those who have been to this famous Christian theatre have been able to witness tales of inspiring biblical characters brought to life. They have seen Samson fight temptation, Moses part the Red Sea, and have uncovered the inspiring true reason of Christmas each holiday season. The theater debuted its first show in 1976 and has since established a reputation as one of the best in the world, amassing millions of fans who visit each year! Having brought these inspiring and uplifting live stage productions to the world for decades, it is no wonder that Sight and Sound is one of the best in the business. Everyone from actors to the chief creative officer - truly do a great job in allowing guests to learn all about these biblical events. The best experience is provided with each production. Sight and Sound is a beloved theater in Branson, though this amazing theater originally began its epic productions in Lancaster County, Pennsylvania. Both of the Sight and Sound locations together host more than a million people each year who travel to see these epic performances. However, the theaters roots as a side show have truly humbled the family who owns it. The Eshelman’s Sight and Sound Story began in Lancaster County with the founder, Glenn Eshelman. After spending years dedicating himself to painting and photography, he sold off all his art and opened up a traveling side show in the 60s. It was the first ever Sight and Sound production! In 1976, it found its first permanent home which eventually went on to set the foundation for the theater in Lancaster County. The show wasn’t always so big! It used to be played on a projector - now each original show unfolds on a 300 foot panoramic stage in its brand new performance venue. The beautiful Branson version of Sight and Sound was opened in 2008 and has seen just as much booming success as the Lancaster County Location. Of course, the thing that truly sets Sight and Sound apart from other Branson theater locations is its attention to detail and inspiring productions. Not only are the shows themselves fantastic, but the theater absolutely knows how to use state-of-the-art equipment and effects to its advantage with live music and soundtracks that are completely original, live animals onstage, and a fantastic cast of talented performers.. Each show is painstakingly created with original scripts, music, and purchasable recorded soundtracks, and each one takes approximately 42 months to complete. The scripts, stories, and music are all completely original. There is a new show created every other year, so they are always working on new biblical musical shows! 2019 also features the amazing Miracle of Christmas show, so be sure to catch that as well! Sight and Sound Theatres are known for their amazing and inspiring productions which includes a cast of talented animals. Each animal is well taken care of and is considered to be a part of the Eshelman family. Each location houses animals and owns animal care facilities featuring large grazing pastures for both the Lancaster County and Branson locations. The animal caretakers are knowledgeable and truly love and enjoy working with the animals who are happy, healthy, and well-loved. Sight and Sound uses pigs, horses, cattle, camels, dogs, cats, donkeys, and even skunks in their performances! The audience is sure to be wowed and inspired when Samson battled the Philistines, conquered personal demons, and even slayed a lion along the way. With stunning visuals and costumes, this attraction is brought to life right before your very eyes for an unforgettable time in Branson, MO. This invigorating production of the story of Samson is one that will captivate the audience, and leave them on the edge of their seats throughout the duration of it, until they burst onto their feet for a rousing standing ovation! Don't miss your chance to see the thrilling and magnificent production of one of the most notable stories in the Bible by bringing your whole family to Sight and Sound Theatres. Book your reservations today! Approximately how long is the Samson at Sight & Sound Theatres® Branson? 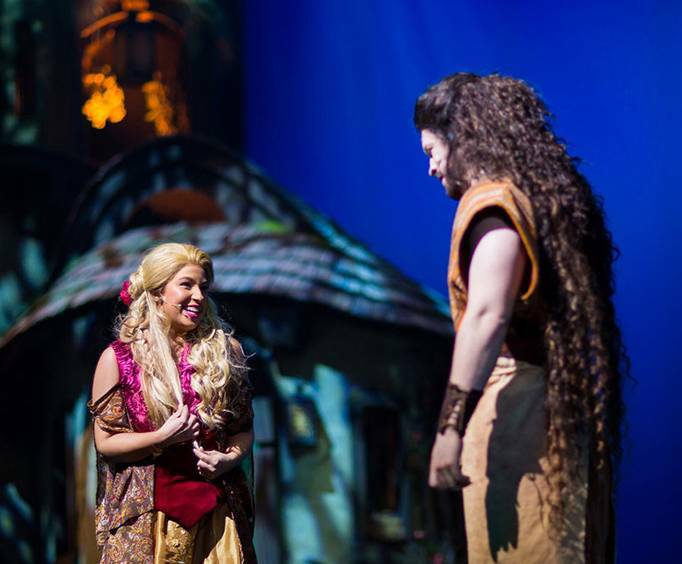 What is the length of intermission at Samson at Sight & Sound Theatres® Branson? It was fantastic. Loved being in the middle of everything. "Everything about this experience was amazing." Everything about this experience was amazing. From the friendly parking crew to the grand and beautiful foyer to the customer service at the ticket counter to the gift shop to the concessions stand, we were wowed before we even walked into the auditorium. The sights and sounds in the theater were really thrilling. The set, the props, the philistines swinging over the crowd, the live animals--there was a fun surprise at every turn. The acting wasn't exactly tony award winning, but it was very good and the insight of the show's writing and entire production quality didn't leave much time to think about it. I live over 7 hours away and i'm seriously considering making sure i make the drive to catch every future sight and sound production. It was that good. Tip: If you buy your tickets online find out for sure if you have to pick them up at a secondary location or if they can print them for you on-site. I have been to several eight and sound shows and enjoyed every one! I take my kids with me (8 & 4) and they love it! It has helped them remember bible stories that i’ve taught them at home. What a fun way to learn. Tip: Go! You won’t regret it!